Top 'O the Mornin' to You! 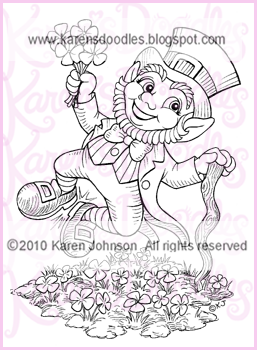 May this Lucky Leprechaun brighten your Day! :-) Enjoy! 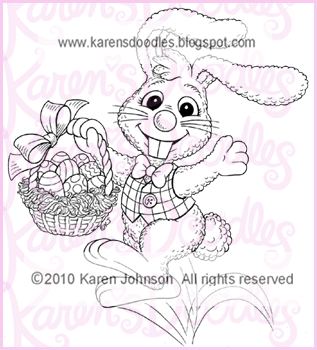 This is a request from Emily, who said, "Can you please draw a Bunny?" 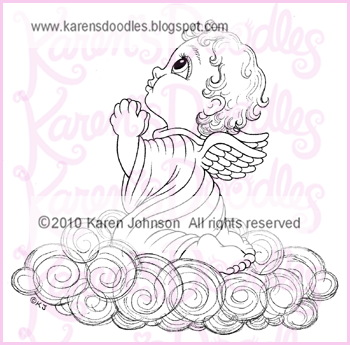 Emily's was the inspiration for my drawing "God's Little Angel". How would you like two bunnies, Emily? Enjoy! 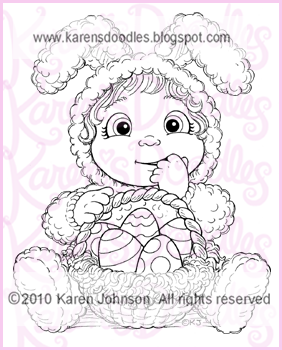 Here is a little Easter Cutie for You :-) Enjoy! Anja, Ginger and our DT, Nancy all requested a couple on a motorcycle. 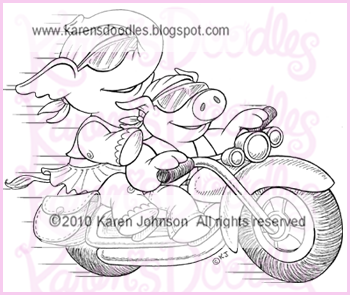 I drew a handsome Hog at the wheel, but I couldn't resist adding Rosie as the passenger. :-) My, my, this girl certainly get's around doesn't she? HeeHee :-) Enjoy! I thought you would like a Kitty version of our popular stamp "I Didn't Do It" :-) Enjoy! How EXCITING!!! Today we reached 900 Followers on our blog and 300 Members in our Paper Craft Planet Group! Whoo Hoo!! 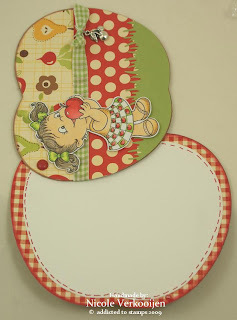 You can get this free image by joining our Groups at Paper Craft Planet and SNR Card Universe . Enjoy! 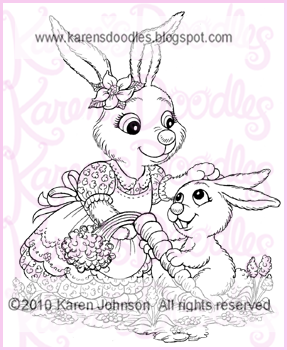 This happy hopping Easter Bunny is a sign that Spring is just around the corner! Enjoy! I have been working on this Winter Angel drawing for the past month. I figured I would finish her before the snow melts. :-) Enjoy! This was a request from our DT, Elaine from the UK. 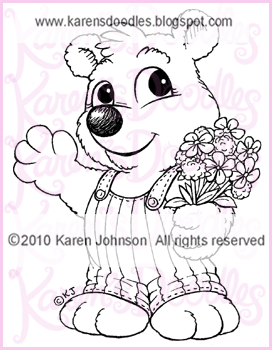 She said, "Can you please, please make a drawing of a little child giving her Mum flowers?" I said, "Only if I can make them hedgehogs". :-) Enjoy! 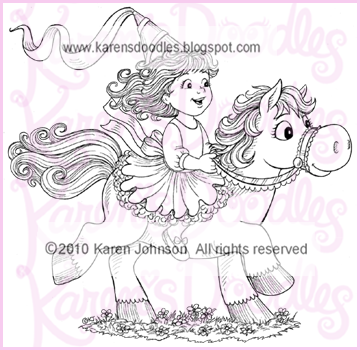 A pretty little Pony for your pretty little Princess :-) Enjoy! This little angel is sure to warm anyone's heart. :-) Enjoy! I have been a busy artist! Check back later today and you will see 5 NEW images. Whoo Hoo! 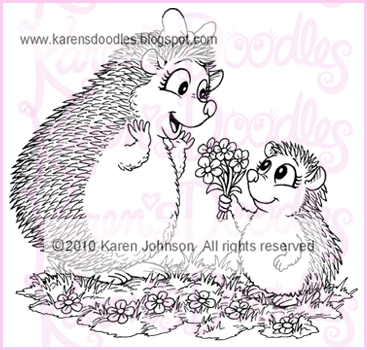 You will see a new Hedgie, 2 new angels, a cute little Easter Bunny and a Princess and her Pony. Join today and receive this Freebie! 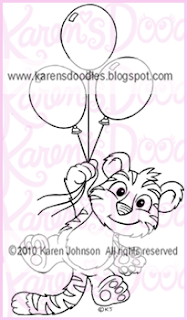 I think this little tiger will brighten someone's day, don't you? Here are some pictures of the finished card. 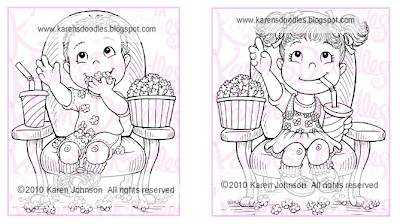 She is having a contest to add the perfect sentiment for the inside of the card and the winning entry will win this stamp. 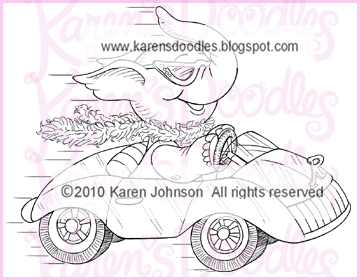 Rosie the Elephant has hit the road in a stylish convertible, sequin sunglasses and a feather boa! Oooh La La...you go Girl!! Enjoy! 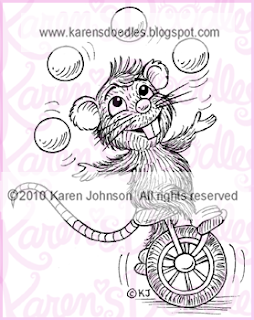 My drawing for today was inspired by Gini, who posted this request on our Paper Craft Planet Group. 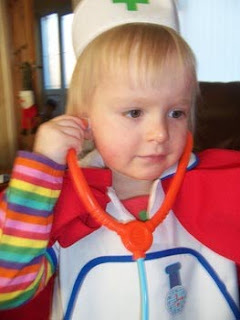 She said, "My 3 year old nephew is going on a "movie date" with his little girlfriend this weekend, and I think that would just make a cute image". I agree, don't you? 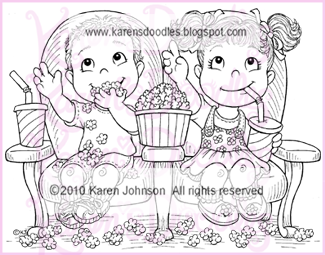 I made three versions of this drawing- A Boy and Girl together and as separate images that can be used as party invitations. Buy them individually or as a set. 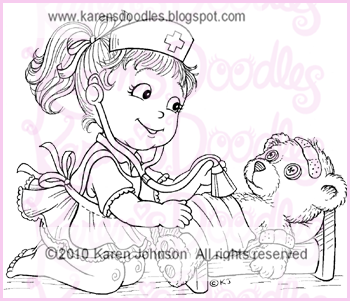 My drawing for today was inspired by little Isobel, a nurse in training :-) Isn't she the cutest? 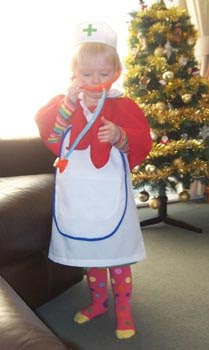 She is the daughter of Elaine, our newest DT. Enjoy! "A friend in need, is a friend indeed" :-) Poor Herbert is just a tad too big for Bigsby's bed, don't you think? 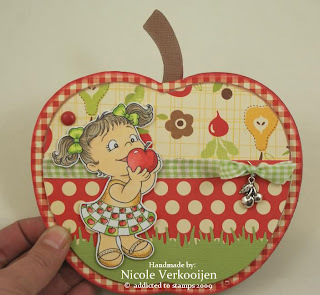 I had many requests for a card to send to someone who is sick, but Alison posted this cute idea in our Paper Craft Planet Group. Great suggestion, Alison! 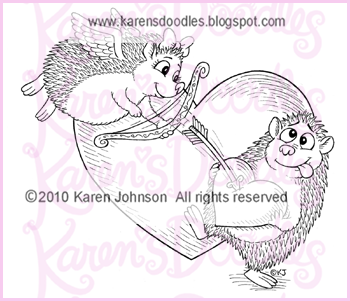 Here are those little Hedgehogs...in love again :-) Enjoy ! 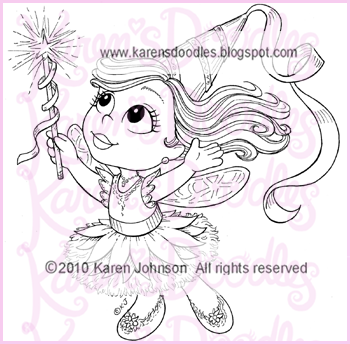 Here is a Pretty little Fairy Princess :-) Enjoy! Thank you everyone for your overwhelming response to my post last week. I have to admit, I was nervous about putting up the post, but I felt the message needed to be brought to everyone's attention. Digi's are a new concept and we need to educate and support each other. Also, I didn't want to post any more images until I felt comfortable that we were moving in the right direction with awareness about the dangers of digi sharing. You will see the little hedgies, the little children from "The First Kiss", another Fairy and your favorite turtle and his best friend - Herbert and Bigsby by Request! The Follower Freebie giveaway ended last night at midnight. 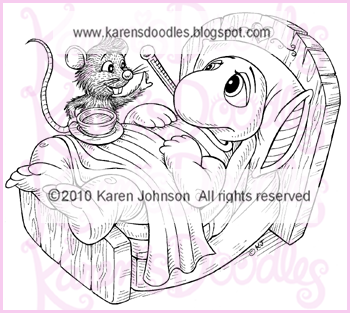 Thanks to all who participated :-) I will be emailing the last of the images by tomorrow. Hugs, Karen :-) PS Bigsby is happy too!